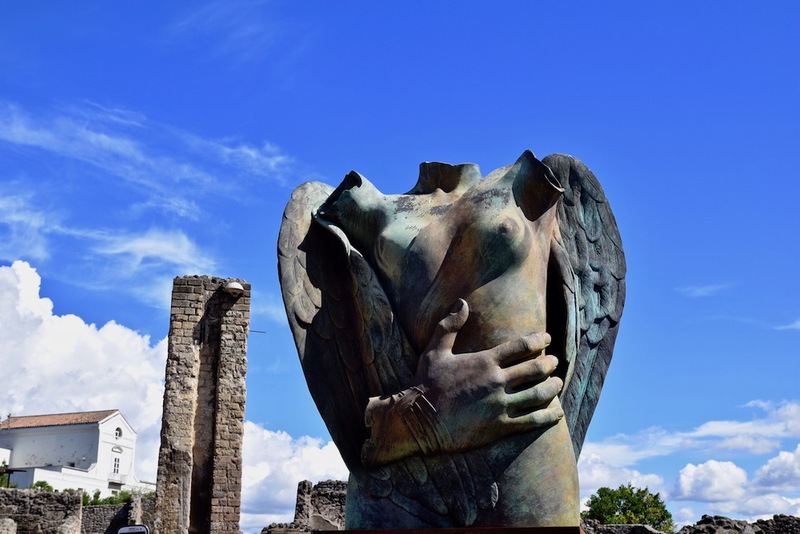 Pompeii Italy is a fascinating glimpse at a well-preserved, ancient city, that has stood the test of time since covered in ash after the eruption of Mount Vesuvius in 79 AD. After time spent in Sorrento lounging and drinking limoncello, we were ready for a little more exploration. 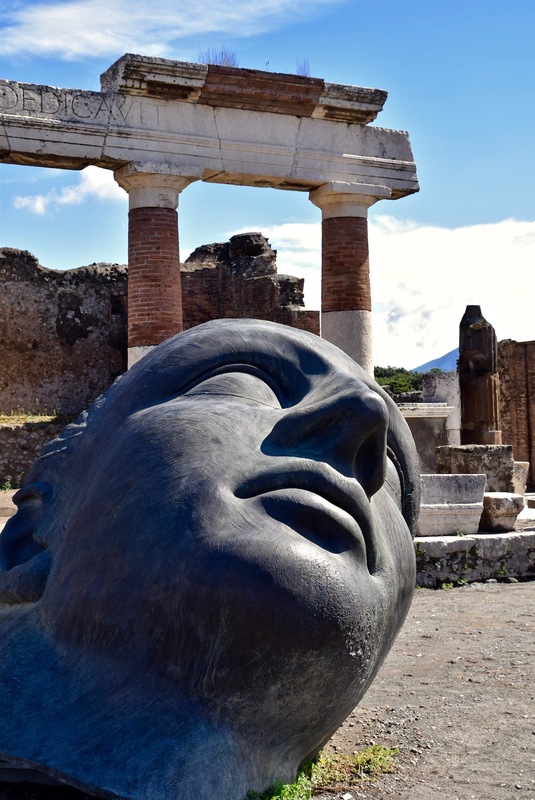 Pompeii is just an hour train ride from Sorrento, making for a great day trip. The audio guide is worth getting for added context walking through the massive site. 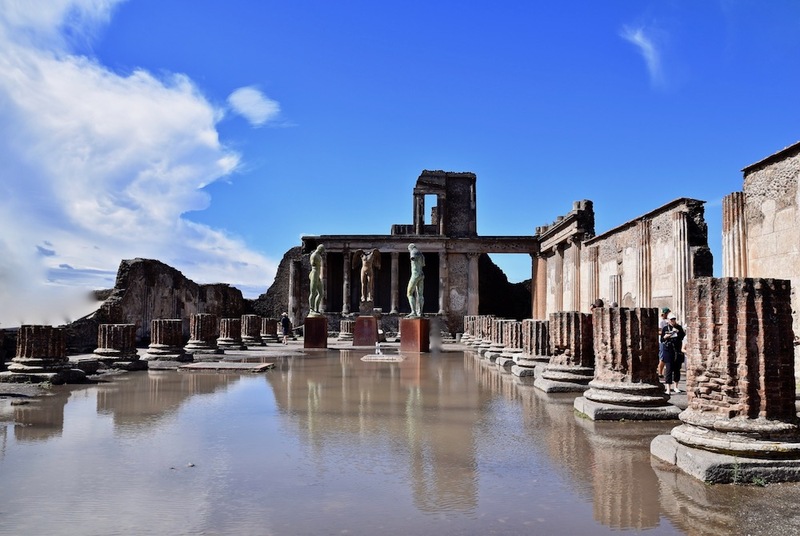 Mount Vesuvius is about 5 miles away from Pompeii and produced its deadly eruption across the city back on August 24, 79 AD. Ash and debris poured down at a rate or 100 miles per hour, 21 miles into the air, covering the approximate 2,000 locals in the city at the time. 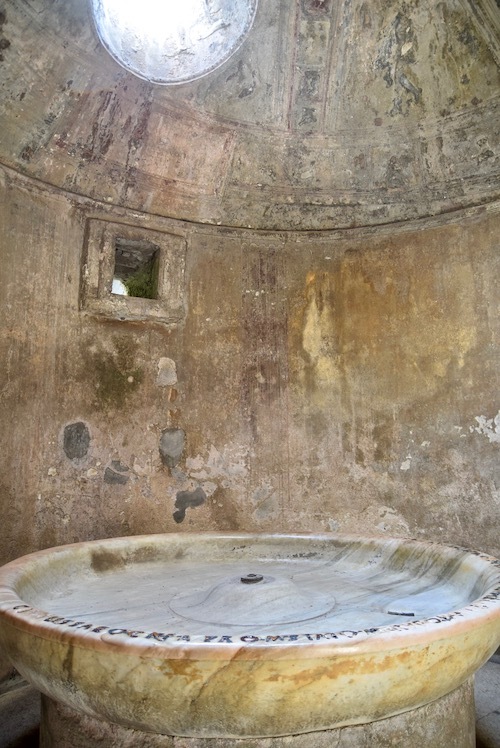 Pompeii remained covered in ash for several centuries until excavation work began in 1748. These many years helped preserve parts of the city since no air or water could seep in and cause erosion. There's still about a third of the city that has yet to be touched. 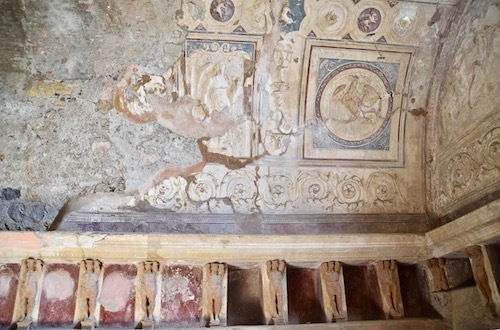 You could spend days walking the 170 acres that make up the city of Pompeii. There's everything from largely in tact homes, thermal baths, temples, theaters and former shops to wander through. 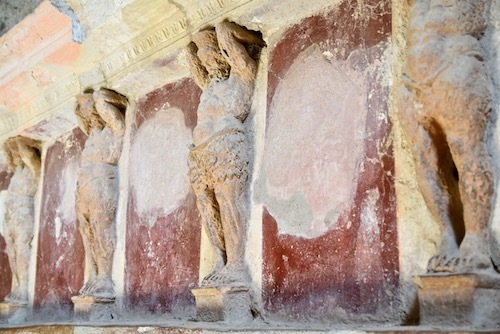 There's large sculptures scattered throughout, as well as examples of beautiful mosaics and architecture. It's amazing to see how well preserved these artifacts are. 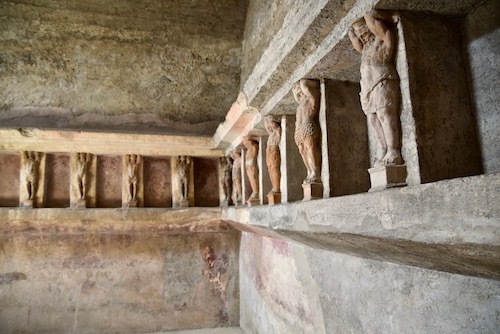 You can tour the amphitheatre, built in 80 BC for a relatively small amount of people, 20,000. 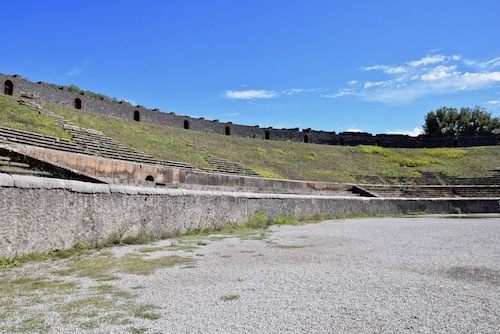 The amphitheatre was used for gladiators, not wild animals. 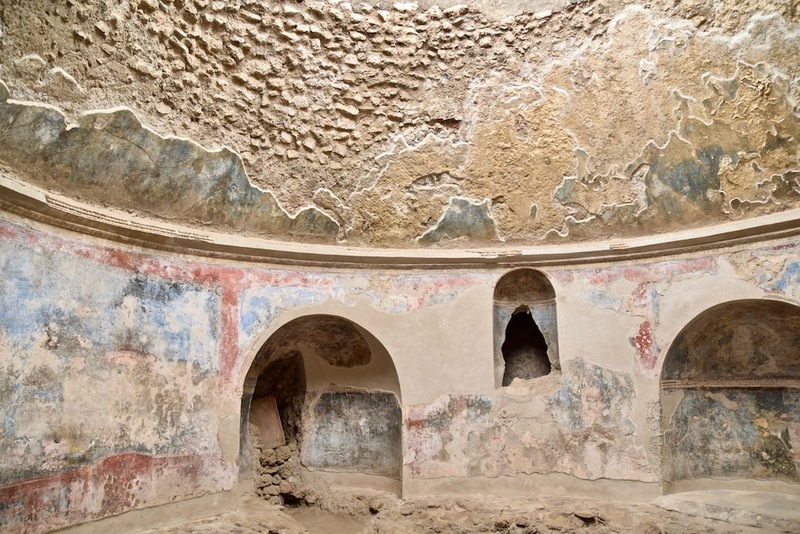 Bring a hat and wear good walking shoots as not only is there a lot to see, it's rather rough terrain to navigate, but a stunning glimpse into ancient Roman life. More great trips in Italy coming up.